Out of the chaos of modern Cairo came a new light into the lives of its people. The hands reached out to us. We thought they wanted baksheesh—tips, or handouts—for whatever service or ware they offered. We soon realized they were reaching for something else, something that had no monetary value—they reached for our light. With palms laid open, they wanted us to place upon them a new coin of the realm—whatever it was we brought with us that would make their lives easier in some way—an Egyptian pound, an American dollar, a smile, a blessing, or a moment of hope. They grabbed it in gratitude and desperation. Before we left on our trip with Archangel Metatron and James Tyberonn's Earth-Keeper group, I had a dream of empty hands thrusting themselves toward me, reaching out for alms, no body attached, only brown arms with tiny hands, delicate hands, and coarse hands, all somehow connected to me, my family, my friends, who could not or would not help themselves, whose leaders would not or could not help them either. I awoke in a panic that whatever I could do would not be enough, so it was useless to do anything. Why attempt to fill a hole in the ocean? 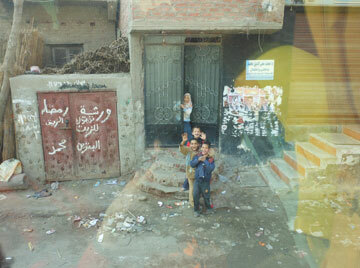 Since the revolution of 2011 and the removal of Mubarak, the 99% have become poorer, more desperate. 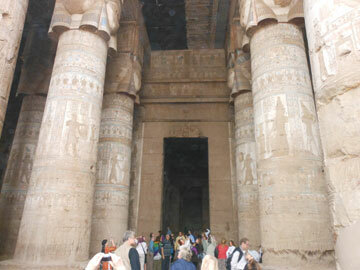 They have always sold small statues, papyrus, Tut replicas, and other souvenirs to tourists at temple sites and monuments. This year their zeal has turned a shade more frantic and at some sites actually pushes away the very buyers they want. Most of us eagerly bargained for the Nefertiti replicas, the cat goddess Bastet statues, and the Egyptian cotton shirts and tablecloths. This is their livelihood. The little girls and boys learn quickly how to be as aggressive as their parents. I bought a real papyrus calendar — carefully avoiding the ones from China made of bamboo — and it will be a daily reminder of my time with people who relished our visit. Here is more disparity of wealth. In the U.S. we can claim clean air (relatively), clean water (maybe) and a safe food supply (debatable as long as Monsanto makes the rules). In many ways the people have surrendered. They have given up on their leaders, their government, their cities and themselves. They are a people without hope. The revolution last year sparked their hope for a while. Until they realized they have been betrayed again – by the very military generals who supported them in the overthrow of Mubarak. Rumor has it that he was, however, the biggest looter in Egypt—selling off the treasures of his people to the highest bidder, assuring the newest archeological finds would go directly out of the country fast – to wealthy oilmen in Saudi Arabia, Dubai and Western bankers and corporate CEOs in the U.S. and U.K. He built his archeological empire on the backs of his country's past and future—another betrayal by those entrusted by the common people to safeguard their history and precious pharaonic treasures. We all know Egypt is a third world country, but nothing prepares the visitor for the extreme poverty that exists on the streets of Cairo. 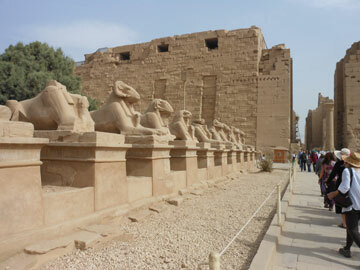 Over the decades many have come to the city for work and the result has been an expansion of Cairo out into the desert. The homeless have even taken over the cemeteries and now live in marble crypts and other alcoves that provide a small means of protection for their families. Along with more people comes more traffic, more donkey carts, and more trash. What was once burned outside the city is now burned inside, leaving a constant haze of smoke mixed with traffic pollution and dust. The canals lining the roads into Sakkara are littered with trash. It is a sight difficult to behold and the blame cannot be placed on those who live there. The funds for public assistance and trash removal has, for three decades, gone into the pockets of Mubarak and his minions. The U.S. is partly to blame with the annual $1.5 billion given to the government that kept him in power. Now that he is on trial for his crimes against his own people, the military has done nothing to aid the people. It is a heart-breaking situation in which they exist. And yet they do. Since I was last in Egypt six years ago, many things have changed, including burned out buildings in Cairo and a grittier, more trash-ridden city. The revolution caused much of it, but the people seem to have settled back on themselves, like a rebellious teenager who got away with an act of defiance against his parents, and now has to live with the results of his actions, waiting for the next opportunity. The people are made of an enduring essence which is represented in every temple, tomb, and monument—fitting expressions for the timeless beauty of the Egyptian soul. The people are not down—there is, however, a palpable sense of incompletion as far as the revolution goes. Tahrir Square continues to hum with the constant presence of those who believe they have something worth fighting for. And they do. 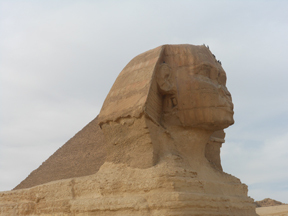 The Egyptians are a sturdy bunch — even stately. They have built their present on the past, knowing there is no way to match the glorious art and monuments of their past. They proudly show off the treasures and monuments. The world comes to marvel at them, but tourism is down 65% and they are anxious to find a way out. They want the world back—but they need a strong leader who can stand up to the generals and the 1% who own Egypt. As a Western woman who condemns the state of women in the Middle East, whose status remains subservient to men, the Egyptian women have made small inroads into male domains. Our tour guide is a woman who had to prove herself to the male guides, and she did it superbly. The purpose of our trip was determined by Archangel Metatron, channeled by James Tyberonn. We were to bring balance back to our ancient homeland by reawakening the Divine Feminine. 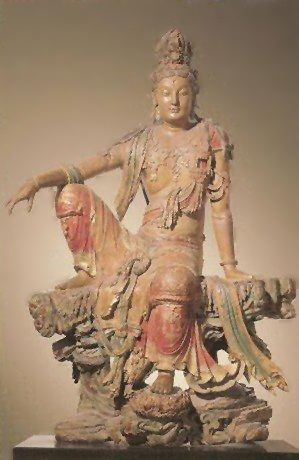 She has been repressed for millennia by patriarchal culture and religions that maintain dominance in all phases of society. We saw many instances of a rebirth in modern Egyptian women, who are on the threshold of stepping into their power. It is not too farfetched to imagine the strong leader the revolutionaries are awaiting just might be a charismatic, empowered woman who embodies the balanced qualities of the Divine Feminine and Divine Masculine. The entire Middle East is primed for democracy. 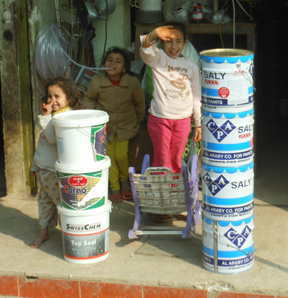 Egypt may well be the country that begins the restoration of balance in that region. We recall that in ancient times, the land was matrilineal, property passed on from mother to daughter, and pharaonic titles inherited from the female line. The male king married his sister in order to validate his rulership. 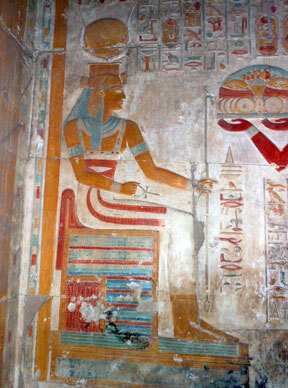 Many female pharaohs ruled in all dynasties, passing the throne to their daughters. Modern archeologists deny these historical facts, interpreting many ancient wisdoms through their modern patriarchal lenses. The rebirth of truth has reached its limit, and as women know, nothing can stop a baby when the time comes and it is ready to be born. We were told to keep with our group, not go out alone, and if you did, tell someone. The only hassles we encountered were not from revolutionaries, but from venders on the street up to the pyramids and at the temples, who swarmed us with their wares. At the entrance to the Giza Plateau, security was on high alert, with military vans, single soldiers behind full-body shields, harassed police and military checking every vehicle headed toward the pyramids. The area was crowded with tourists, local families with picnic baskets, military on foot and van patrol, camels, donkey carts, youths on horses galloping across the roads, taxi drivers yelling for fares and catcalling to young women. Children scampered over the huge stones next to the No Climbing signs. 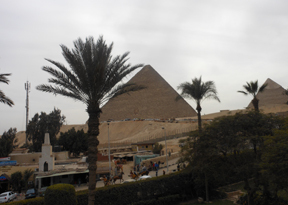 Old men in dirty galabayas tried to interest tourists in their pyramid lore, for a small fee. We realized that meditating next to the ancient stones suddenly became an impossibility. Not so thirty years ago when I visited Egypt for the first time. Sitting on the huge exterior stones was easy. More difficult was my claustrophobic fear of going inside the pyramid, which had nearly immobilized me to the point of panic that I wouldn't come out alive. It took every ounce of strength I had to not turn and flee. With help from our leader, I made it to the Kings Chamber and lay in the sarcophagus for several minutes, watching a series of symbols and astral travels dance across my inner vision. Then I sat against the wall with my group. Later our psychic/healer leader explained to several of us that we had been wrapped like mummies and lay in the sarcophagus for 3 days, but we did not survive and failed the initiation. In my case, I failed again in another lifetime, and the third time had succeeded. 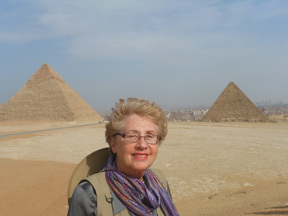 Since this current trip to Egypt was my third, I had overcome the fear and had no problem entering the pyramid. 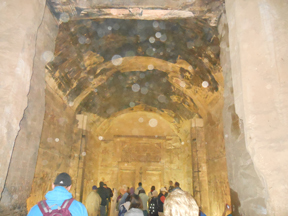 The group's private time in the Kings Chamber began at 4 pm. Because we were such a big group we were split into 2 days for 2 hours each. We briefly lay in the sarcophagus, then sat against the wall. The energy in the chamber was palpable, what Archangel Metatron had told Tyb would be a rebirth of the Divine Feminine as well as an activation of the golden sun disc under the pyramid, both encoded for the year 2012. 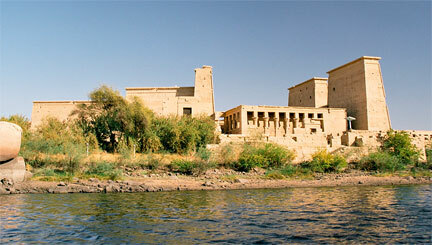 Isis temple on Philae, near Aswan, Egypt as seen from the water of the surrounding lake. Photo Credit: Przemyslaw Idzkiewicz. Creative Commons Attribution-Share Alike 1.0 Generic license. I felt a shift within myself that seemed to awaken my senses at the deepest levels of my DNA. Fireworks exploded within my body from somewhere in space and a familiar voice said, "What you have asked has been granted, my daughter. Your karma is complete." I felt the goddess Isis, her presence surrounding me and the chamber with a golden light into which I sank with gratitude and joy. I entered a state of bliss that seemed to encompass all twelve dimensions within my being. She held the key to the ancient codings that would unlock the rebirth of the inner Divine Feminine. I floated out of my body and merged with the beautiful being that became my true self and the divinity. It lasted an eternity, or a second. Both definite states of reality. Reality I could claim as Truth. Tears flowed as I bowed and honored Isis. And she said, "We honor You." The grandest lesson I took from this trip was the very difficult task of not reflecting the light of the Divine, rather being the Light of the Divine. And honoring myself as I honor my guides—Isis, Jesus, Osiris, Mary Magdalene, Thoth, and Horus. Out of the misty haze of the Kings Chamber, I stumbled my way down to the Queens Chamber, where Nina Brown and the Golden Dolphins awaited with their message of love. Several days earlier on the Nile cruise Nina shared some of her wonderful words of wisdom that have helped me immensely on the trip. After descending the chamber toward the last tunnel of the pyramid that looked and felt like a birth canal, we emerged into the air and twinkling lights of Cairo as if dazed yet reborn from a sound sleep. I felt changed to the depths of my being, and could not define it, yet knew with certainty I would complete the book that Isis had requested I write, several months before the trip. She called it, Guide to the Golden Age: A Manual for Living in the 5th Dimension. I knew it would take weeks and months to fully integrate the many mystical experiences of this trip and look forward to what feels like abundance in all ways. As Metatron said the last day we were all together: "You are the first pioneering group of light workers, but not the last, to generate the divine energies anchoring the Divine Feminine exuding the crystalline properties of the 12th wave ascension process. You have relit the past. It has not been easy but has changed you more than you will recognize. "You are all code carriers. You knew you had to be here. You have received codes in every place you went, each of the power nodes, the new codes of the crystalline expansion called the ascension. Take a moment to honor yourselves as we honor all of you. 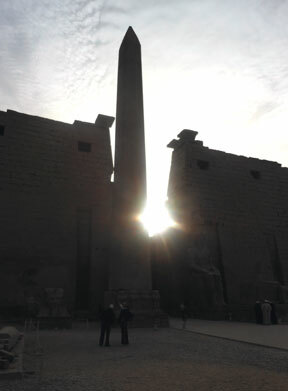 "Beneath the pyramid is a golden sun disk. It is of Sirian, Pleiadian, and Arcturian technology. It is being shifted into the crystalline grid. You are an envoy of the ascension, and we love and acknowledge you for what you have done. I am Metatron and I share with you these truths. You are beloved." Tyb, Anne, Metatron, Isis, Osiris, Ascended Masters, we thank you for the tremendous journey of truth and joy.